The traditional or classic Live-Oaks grow to be a large, sprawling, picturesque tree, usually graced with Spanish moss and strongly reminiscent of the Old South, Live Oak is one of the broadest spreading of the Oaks, providing large areas of deep, inviting shade. Reaching 40 to 60 feet in height with a 60 to 100 foot spread and usually possessing many sinuously curved trunks and branches. 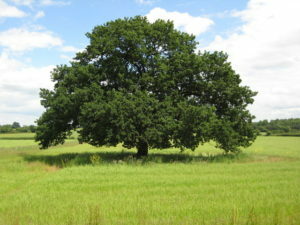 Live Oak trees are an impressive sight for any large-scale landscape; Give it plenty of room since the trunk can grow to more than six feet in diameter.